Citing problems including bedbugs, black mold, cockroaches, broken appliances and heaters, and more, residents of a West Oakland building combined to bring nine complaints against their landlord in a hearing that began Monday before the Oakland Rent Adjustment Board. The tenants said this was the largest such hearing in the board’s history. The owner of the building, located at 715 Peralta Avenue, is Ramdas Darke. He was “medically disabled” and not able to attend the hearing, said his lawyer, Stephen J. Kennedy, who implied several times that the disability related to Darke’s mental competence. If hearing officer Barbara Cohen finds the tenants’ complaints are valid, the city’s rent adjustment program allows her to reduce the tenants’ rent until problems are corrected as well as to order reimbursement of a portion of rents paid while conditions were poor. Tenants said their apartment building at 715 Peralta Avenue is infested with bedbugs. 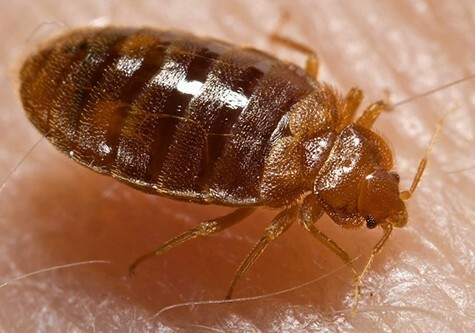 Tenants also described infestations of bedbugs and cockroaches. Maggie Larrios said her eight-year-old daughter had so many bedbug bites that school staff thought she had chickenpox. She said her children are now staying with relatives most of the time because she doesn’t want to subject them to conditions in the apartment. Building resident Reginald Black came to the hearing equipped with a plastic bag full of bedbugs he had caught in his apartment. During the hearing, another tenant, Yolanda Scoggins, discovered a bedbug crawling on her jacket. Several tenants said that since Darke had not dealt with the bedbug and cockroach problems, they had repeatedly sprayed and set off bug bombs themselves, but the insects always returned. “Every time we complain about [problems in the building], it’s ignored,” testified Floralisa Luzon, echoing comments of other tenants. Building residents also reported being threatened with eviction if they participated in the organized campaign for improvements that began in September when several tenants contacted the West Oakland-based East Bay Solidarity Network. Then more than half the tenants signed a petition requesting pest control measures and repairs, said Solidarity Network member Rio Scharf. Tenants followed up with letters, phone calls, and a group visit to Darke. Tenants also made six complaints to the city office of vector control. They filed complaints with the Rent Adjustment Board after all these efforts failed, Scharf said. In addition, several female tenants said they had been subject to sexual harassment by the landlord. “He’s always trying to touch on me,” said Tate. Hearing officer Cohen said she had no jurisdiction to address this charge. Cohen, however, thoroughly questioned each tenant about the building issues listed in their complaints. Since time ran out before all tenants had a chance to testify, the hearing was continued until today. Hearing officer Cohen also said she would visit the building to check out conditions for herself. Darke’s representatives — his wife Mangal Darke, his son, Ranjit Darke, and attorney Kennedy — were slated to give their full testimony to the Rent Adjustment Board after all the tenants had spoken. East Bay Solidarity Network activist Scharf said he had called several city offices with complaints about the building and they were all familiar with the problems, having received numerous complaints before. “The city is very aware of this, but apparently doesn’t have the will to invest in the low-income residents of West Oakland,” Scharf said.